Video marketers have to continuously adjust their content strategies and approaches taking the expectations of the audience into account. ROI or return on investment helps to determine how well the video is performing. Different metrics, analytics reports, and results are compared to measure video marketing ROI. Monitor how the video content is ranked for the key search terms. Check whether the video is reaching the right people or not as this helps to rank higher and boost key metrics. Views are the easiest video marketing ROI to measure but the high view count should not be considered a success. View count is the metric that gives you details of traction the video has achieved. Do not just concentrate on the view count but consider other metrics that provide additional information. Play rate is a metric that tells you what percentage of visitors are clicking the play button. Play rate also tells you if the video is positioned at the right place on the website. Track the engagement of the video with watch time, another key metric and understand how much time viewers are spending watching the video. The higher the watch time percentage, the more the video is engaging the audience. If the watch time is low, then check the length, placing a call to actions etc. Ascertain the demographics of the existing audience by expanding the subscriber base. The more the number of subscribers the more the video reach. A number of subscribers also tells you if the video is reaching the target audience or if some changes need to make in the approach. Monitor the social shares to get an idea of how the audiences are engaged with the video content on social media. Social shares are an important metric to measure ROI if the video content is made especially for social media. Backlinks metric helps you to assess how the video content is being played into SEO strategy. If the video has more backlinks, then Google and YouTube are going to give higher ranking to it and this will lead to more views and more exposure. Click through rate is another metric to check the persuasiveness of video content to encourage viewers to follow calls to actions. Another way to measure video marketing ROI is to keep the close eye on lead generation. Video efficacy on websites and email newsletters can be tracked with A/B testing. Monitoring conversion rates and click through rates over a period of time across different approaches is one of the best ways to monitor video marketing ROI. Monitor audience metric to create content to increase converse rates. Find out at what point of the video people are leaving the video. Relevance is another metric available however on only Facebook to check if the video reached the target group. Set clear goals for your video. Few common goals for videos are increasing brand awareness, engage customers, getting high conversion rates etc. Foundation to measure the ROI is to identifying the goals. There are different models to measure the ROI. Absolute ROI allows getting the information on video performance and to measure the costs. Relative ROI is a complicated model that allows comparing video performance and other marketing activities. ROI with attribution modeling allows measuring the impact of video on different marketing channels. Outline the costs of video marketing campaigns. Track sales to know when you reached the break even amount. Track sales from the marketing video. Use web tools to find this out. Even before creating video content understand the distributing methods, this gives the correct idea of how to measure ROI and how to analyze the success on multiple channels. If you are new in video marketing try using YouTube, email newsletter, website pages such as landing page or social network profiles to share the video as this makes to track the metrics easy. Use online tools to evaluate the interaction of audience with the videos. To measure mobile video advertising ROI, keep track of brand awareness, purchase influence, accessibility and mind share. To measure native video ROI by click through. Customer acquisition rate is one metric that should be tracked to measure native video ROI. To measure the ROI of programmatic advertising, focus on areas such as reputation, website traffic numbers etc. When tracking the views of the video take into consideration total views, paid views and organic views. Paid views, however, are the one we should look for. A number of minutes watched metric gives a clear picture of views Vs complete views. Use YouTube analytics to get details about complete plays, drop off spots and hot spots. To get positive video marketing ROI find out where the target audience is. Choosing the right analytical tools is important to get the data needed to measure video ROI. Online mention of the video is another metric that helps in measuring the ROI. Conversions is another fundamental thing to measure video ROI, things to measure include the item purchases, registrations, and contact forms. Pick only a few metrics that are important as it is not possible to keep track of every possible metric. 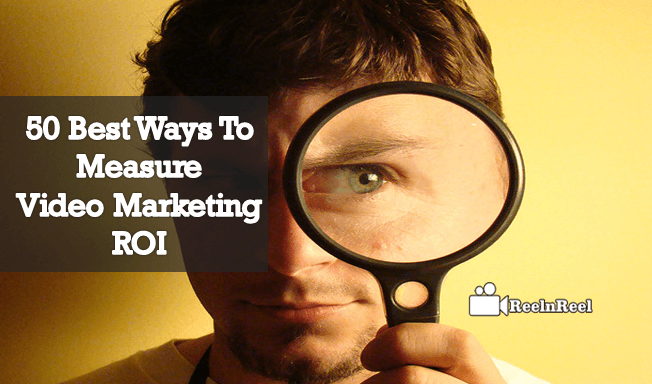 The success of any marketing activity is measured by the return on investment, ROI. The ROI of YouTube can be measured in many ways, and one has to keep the goal of the activity while measuring the ROI. Here are few ways to measure YouTube Channel ROI. The success of any YouTube video is measured based on the views it gets. There are many other important things to consider while measuring the success of the video but the number of clicks indicates how well the video reached the target audience. The total number of views includes total views, paid views and live views. Check the leads and revenue that video has caused. Use the YouTube analytics tool to check how many viewers completely watched the video. Audience retention feature of YouTube helps to find this data. The success of a YouTube video depends on how well it reached the right people. Also, check whether your videos are being accessed on mobiles also or not as this can influence the return on investment. A number of shares like on YouTube and Facebook comments received by the video, mailing list signups are all things to consider to measure the return on investment. ROI is not one of the best ways to measure the success of YouTube videos even if the video lead to increase in revenue. It is difficult to accurately the measure the level of success. The goal of any business with YouTube is to increase the brand awareness and not just to have video viewer or going viral. To measure ROI, the marketers need to define persona of the buyer and map out the customer conversion funnel. Define business goals which are measurable and concrete. Keeping track of the video marketing ROI makes a lot of difference to the success and failure of YouTube channel or a marketing campaign. Measuring video marketing in ROI is very important to ensure that the time, energy and resources are invested in right places to get positive results. Regularly reviewing the data gives insights of how the video marketing campaigns and tactics are working and what changes should be made to them.